Sooner or later you'll need to cut the cord...the power cord! Untether your electronic project from the tyranny of the wall adapter and take it out into the world. That's where batteries come in, and you may have been seduced by the high power density, large current capabilites and recharge-ability of Lithium Polymer or Lithium Ion batteries. These battery chemistries have quickly become the most popular rechargeable batteries in consumer products, powering everything from keychain mp3 players to huge laptops. Thanks to the big market demand, the price of lipoly (for short) batteries has plummeted. Now you can get batteries for $10 each, or even 'recycle' batteries from old cell phones. However, these batteries need a special type of charger! You can't just use a NiMH or NiCad battery charger, even a LiFePo charger wont cut it. Instead, a proper Lithium charger is required. 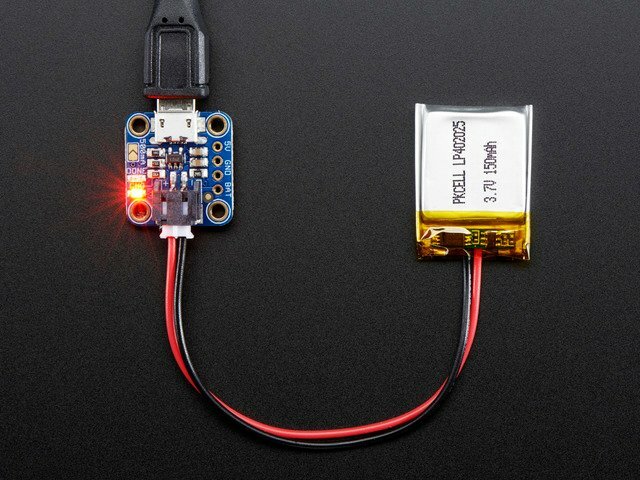 Adafruit has a few small basic chargers that can satisfy your LiPo charging needs. 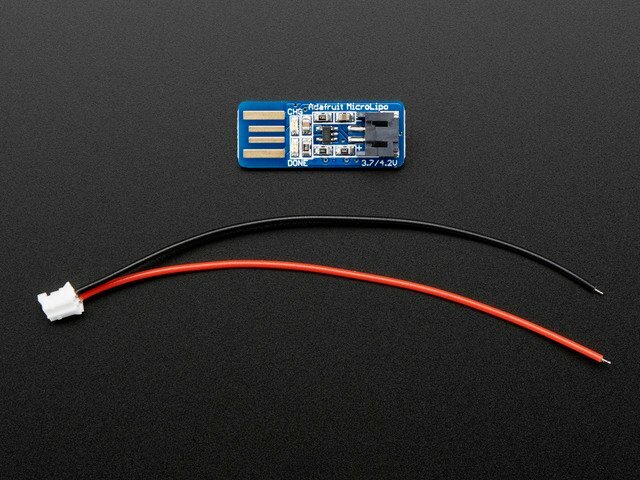 All of these chargers can only do 1-cell chargers for 3.7V/4.2V cells. 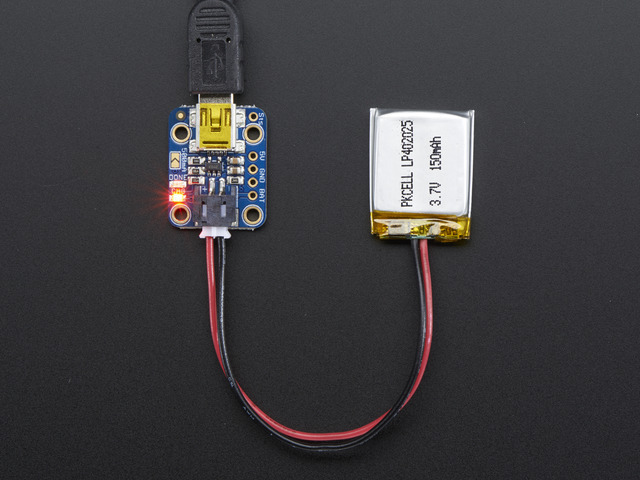 These are by far the most common and all the LiIon/LiPo batteries in the Adafruit shop will work quite nicely. This guide was first published on May 30, 2014. It was last updated on May 30, 2014. This page (Overview) was last updated on Apr 19, 2019.